Many of the genre purists out there have been hating on Chris Cornell's new Timbaland-produced album. But what's wrong with a little experimentation? I really have enjoyed the fruit of their collaboration. The Timbaland and Cornell combi is brash and bold, with big synth melodies and Cornell's powerful, uplifting vocals. Get another taste of the title track that the Cornell recently performed and is now giving away to readers of this blog. Totally guilt-free. Big news! MTV Logo has once again named an award after ArjanWrites.com! 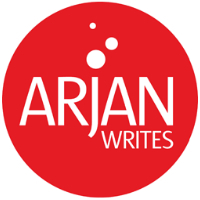 After last year's success, MTV Logo has invited ArjanWrites.com again to be part of their NewNowNext Awards. Airing on June 13, the annual NewNowNext Awards pays homage to the artistic pioneers of today who are transforming and defining tomorrow’s pop culture. Exactly the sweet & crunchy stuff this blog is made of. The winner of the award will be decided by your votes! Vote for your favorite artist in the voting widget below from now until May 20. You can vote as often as you like. Spread the word to fellow fans to come vote as well. The winner of the MTV Logo NewNowNext - ArjanWrites.com International Crossover Award will be be announced during the NewNowNext telecast that premiers Saturday, June 13 2009 at 9 PM ET/PT on Logo and LOGOonline.com. Hosted by RuPaul, this year's show will be filmed at Hiro Ballroom in New York City and I will be there to present! More updates to come. Make sure to add me as a friend on Facebook and follow me on Twitter for all the updates. Check out this the official announcement video of all NowNowNext categories below (including the studly Ronnie Kroell). The MTV Logo NewNowNext - ArjanWrites.com International Crossover Award is presented at the 5:55 min mark. Four Word Reviews: Pet Shop Boys, Moby, Chester French, Prince. Don't forget that Young Love's new album is dropping in stores tomorrow. Empire of the Sun's excellent "Walking On A Dream" is iTunes' free weekly download. Semi Precious Weapons new video: "Rock 'n roll never looked so beautiful" (and bloody). Casey Spooner talks about the new Fischerspooner tour with W Magazine. Boom boom pow! LMFAO remixes Lady Gaga's "LoveGame"
More boom, boom, boom. Check out Felix da Housecat's brand-new video for his single "Kick Drum." DJ Adam Freeland is giving away his new single "Under Control"
Poptastic: Starpilots "In The Heat Of The Night"
Cool gadget. Bring those vinyl records with you and play them anywhere with this. Don't forget to follow me on Twitter and add me as a friend on Facebook. BEP's "Boom Boom Power has slowly but surely caught on and hit #1 in the Billboard Top 100 this week. Check out T-Minus' remix who upped the dancefloor sensibility of the track with a kicky, new percussion track and few other soundboard surprises.